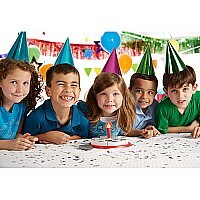 Every day's a celebration with our festive birthday party! 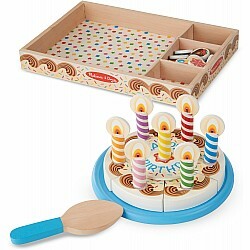 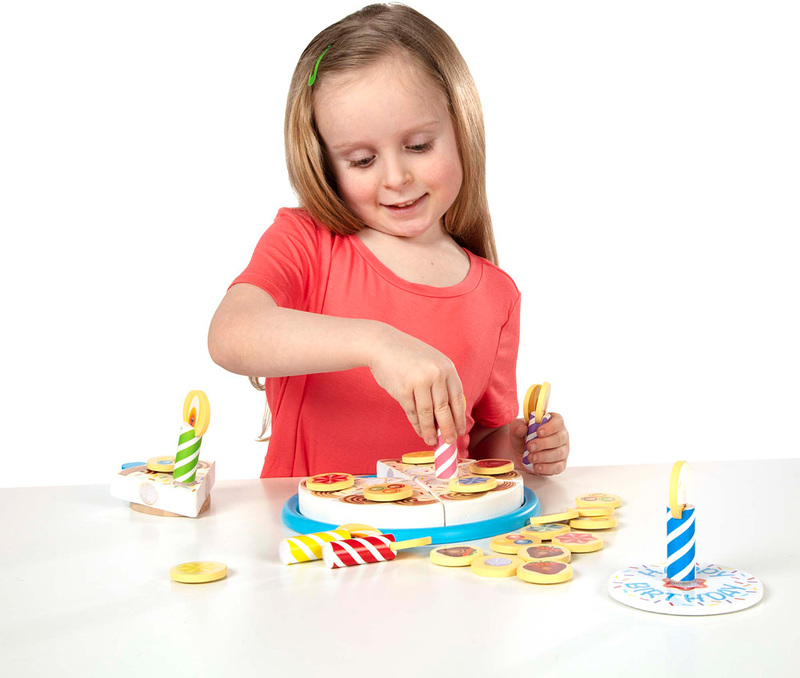 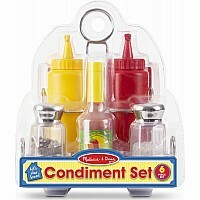 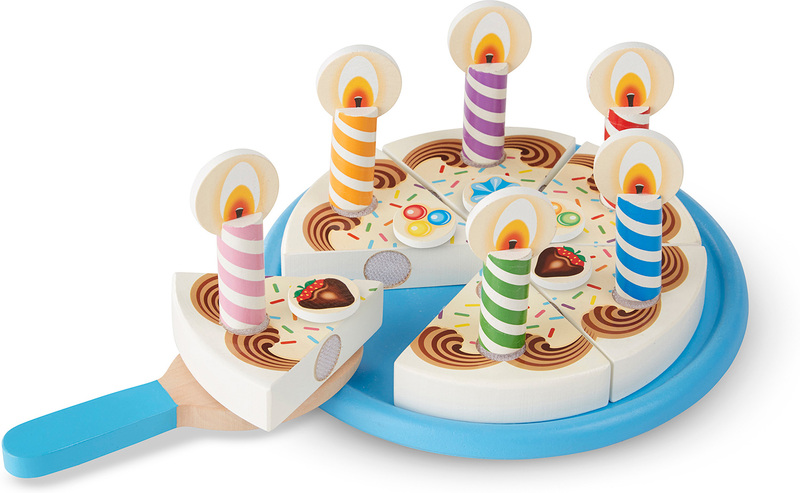 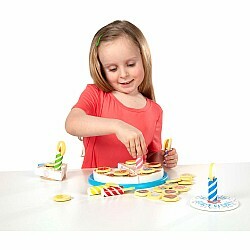 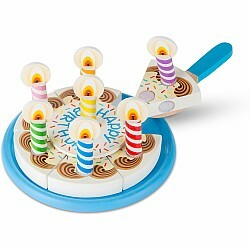 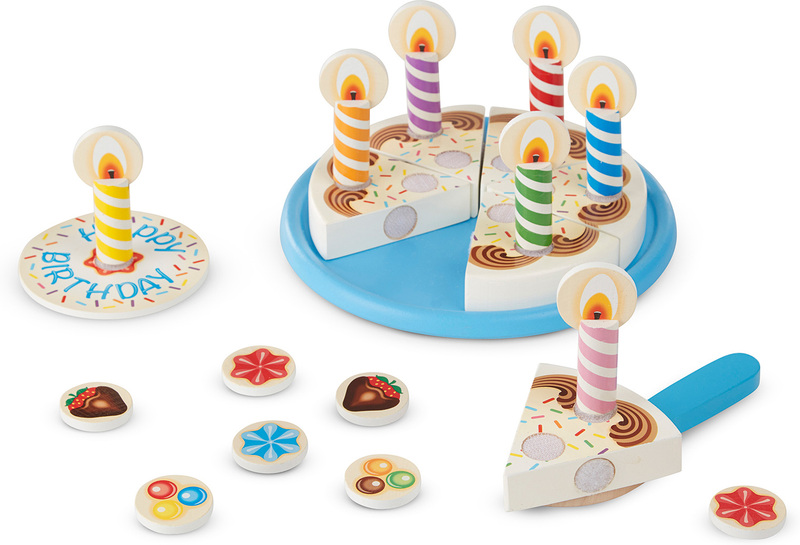 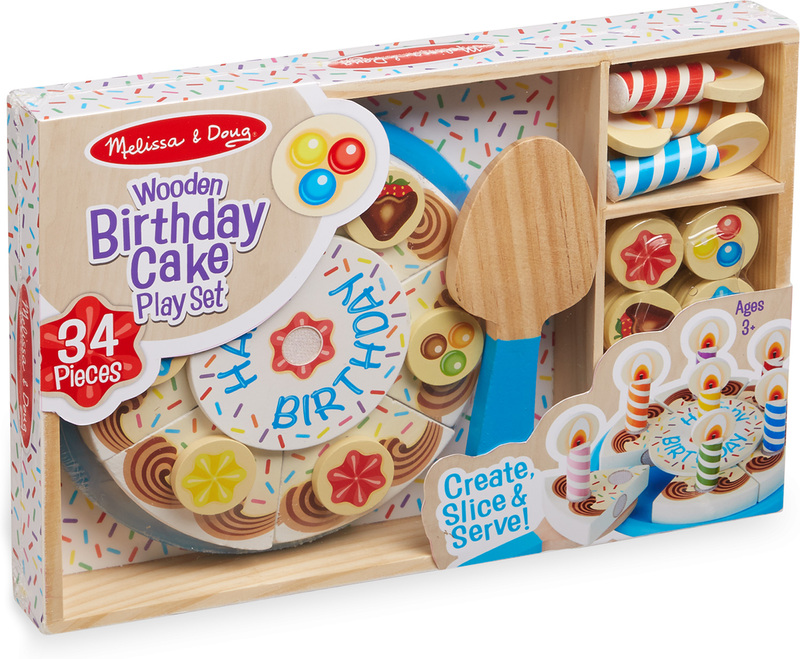 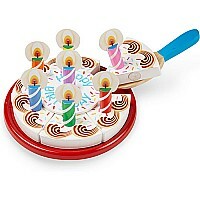 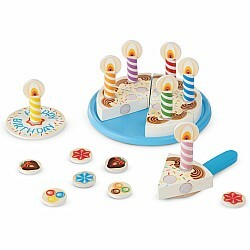 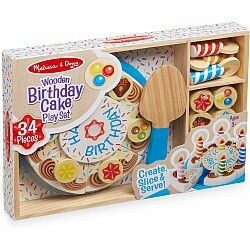 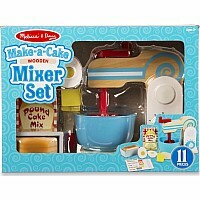 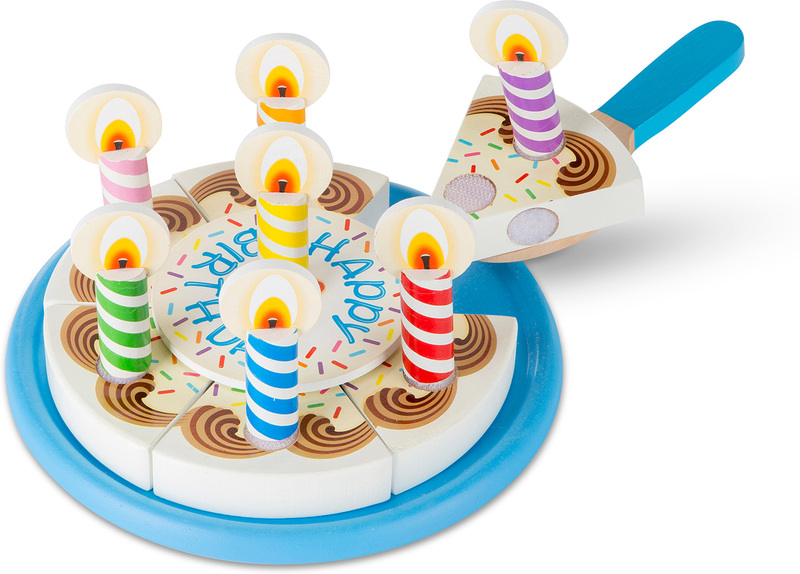 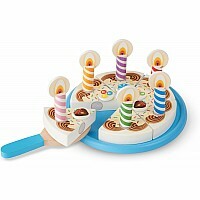 This wooden set includes six ready-to-cut slices of cake, removable candles and toppings, and a cake plate and server. 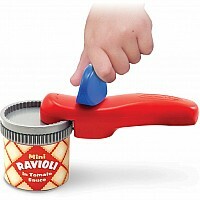 Use the serving knife to cut a piece and hear a slicing sound! All 34 pieces store neatly in the wooden box until the next celebration. 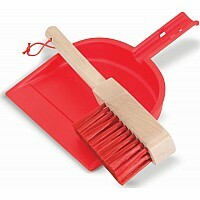 Measures approximately: 1.60 x 9.05 x 13.00 inches..